There are many ways to create fire text, but believe me, no other text is looking that cool and real as this one ;) Of course it maybe a lil' more effort to get it. 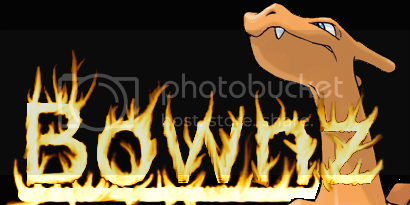 I will show you how to create such a hot flames text with GIMP. Create a new File of any size. I chose 420 × 200px. As BG-Color choose black. Done so write some white text to a new layer (bold text, white color, size: 50). Right click the text-layer in the layers dialog and choose “merge down”. You should only have one single layer now. Now, that we have all one one single layer, we create our flames. Use the Smudge-Tool to do so and choose the values that are shown on the picture. Also set the spacing of the brush to 1, by doing that you’ll get a much smoother outcome when smudging. It is important to change the super white into gray tones. After that make some flame-like movements to the top. Let your creativity come out and do this with all the letters now. Well, we are almost done already. Now we simply have to add the correct colors of fire. This topic (Hot text on flames / fire) has been rated 4.5/5.0. Finns någon manual (handbok) på svenska, så fall vad kostar den? Very straightforward tutorial. Make sure to merge the layers. Also, it helps if their is some black on the edges of the drawing. Side Note: Time heavily depends on the amount of text you are turning into flames. Also, edit the color if you don't like it (using curves or value). That was a great straight forward tutorial, thank you so much. Click Layer, Transparency, Colour to Alpha, ok. Thanks! This was really helpful! I needed to make a logo for someone and they asked me to make it look like it was on fire! I will definately use this method a lot! Also, if I need more help, I'll look at your tutorials! Also make sure your image color mode (Image / Mode) is set to RGB! Thanks. That was a great tutorial but have you left any step in between because it is still in grey scale after color balancing. I've updated the tutorial to fit GIMP 2.8 now. 3. Verblassen is found in the Dynamics Options: "Fade lenght"
7. Before GIMP 2.4 the menus were different. It's found in Colors / Color Balance now. Love the tutorial. A few things here. 3. What is Verblassen? and 7..I don't understand this either. I do not see layers in Color Balance. There is no way to do that. Hopefully, you can explain this tutorial better. THIS IS AWESOME AND COMPLETELY LEGIT!!!!!!!!!!!!!! All the dialog boxes are in, I'm guessing, Danish! It's really hard to decipher the parameters here!! My colours came out different then turned out yellow. Cool but how would someone do this if they wanted the flame text on a transparent background so they could put it over pictures? Oh, and Kylee, Colors is its own menu now. Right next to Layer. I can't find the colors from layer. Very easy, I played with the coloring and then when finished I used the fuzzy select tool to delete the background. This is what I came up with. fabulous! easy to follow and excellent results!!!! Very easy tutorial, for a newbie, i understand everything.. Thanks man ! Wow! Great tutorial! I used the extra steps and it worked great! I duplicated the blueish color to make it stronger on my black background. It looks awesome. It was easy, thanks! Excellent tutorial! Thank you very much. 1. In the layers dialog, click on the "New layer" button and select Layer fill type as White. Move this layer to the bottom. 2. Right click on the top layer and click on "Duplicate layer". Move the duplicate between the original and the white layers. 3. Select middle layer. Go to Filters -> Blur -> Gaussian blur. Choose IIR and set both Horizontal and Vertical blur to 15. 4. Select the top layer. Go to Layer -> Transparency -> Color to Alpha. Set black color to be converted to alpha. Repeat this for the middle layer. At this point, the figure should appear like the letters have a glow around them and are on a white background. 6. You can also choose the middle layer and do Layer -> Colors -> Invert to get a cool blue glow around the flames! Yeah, that worked really well. Thanks! Something else you can do after making the flames is use the same smear tool on the bottom of the text with the rate setting at 100 to make it look like the letters are dripping/melted! Thanks so much for taking the time to make this! Fantastic tutorial. Thank you very much! This is extremely easy, and fun to make. This is an excellent tutorial. excellent and easier to follow for new users.